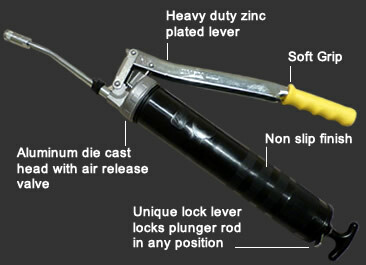 Gun includes a 2-way loader for cartridge, and suction loading. Features include a leak-proof sealing element, heavy duty rust-resistant polyamide barrel, cast aluminum head, barrel lock lever, air release valve, and soft yellow grip. Made in Germany.